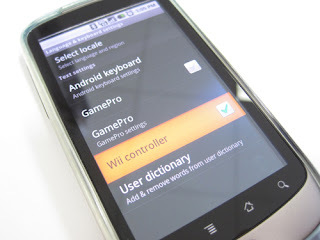 At $3.99, the “Wii Controller IME” application in the Android Market allows you to easily connect your Wii controller to most Android devices. 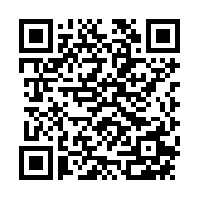 The app uses the bluetooth to make the connection; so if you lack the USB capability seen in Android 3.0+ then this solution is for you. Note that only the basic components, the direction and button keys, of the controller will work. 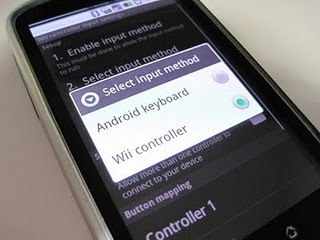 2) It does not work on sense and touch wiz devices.